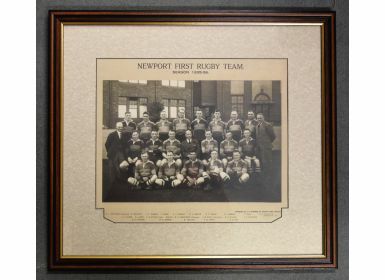 Scarce Newport RFC 1935-6 Rugby Team Official Photograph: Large clear professionally taken photograph on original mount with printed details, skilfully and attractively reframed and glazed, of the Black & Ambers at Rodney Parade. 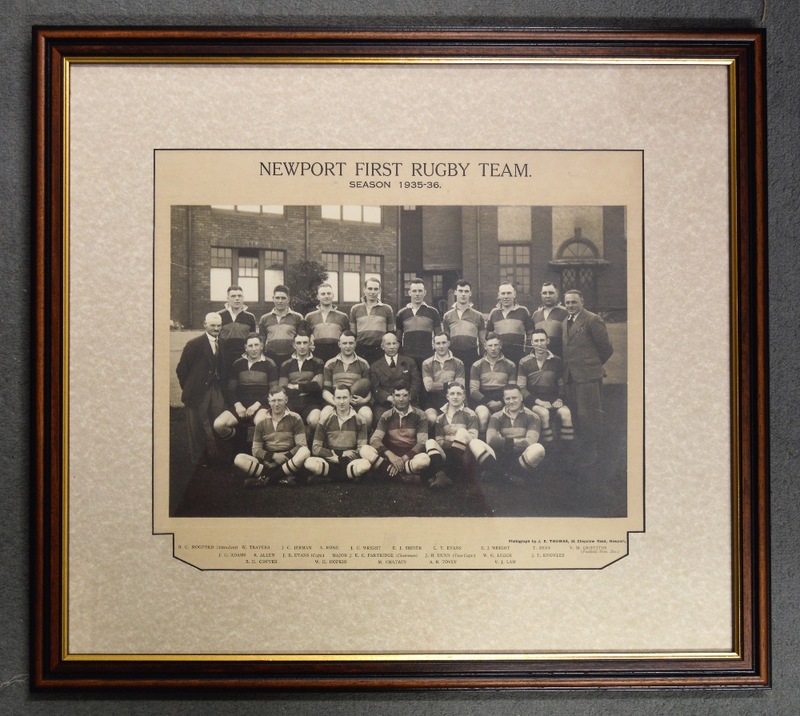 Names noted to lower margin, with several Caps present and captained by one, J R Evans, who was to be killed in World War Two. Fine item.